Zimbabweans from across the world poured their heartfelt condolences following the death of legendary musician and Zimbabwean ambassador Oliver Mtukudzi who passed away in Harare yesterday at 66. A multi-award-winning singer, he toured the world and collaborated with local musicians and several others from abroad. The Daily News caught up with several Zimbabweans who paid tribute to the music icon. Singer Ambuya Stella Chiweshe: Hana yarova, zvakaoma kuzvigamuchira mupfungwa (it is difficult to accept). Singer Charles Charamba: It is one of those shocking chapters in the history of our music industry. The music fraternity has lost a pace-setter. Fortunate enough Tuku’s voice shall remain with us for a long time. He has been a blessing to our family and Fishers of Men. But broadly speaking, he contributed immensely to the gospel fraternity through assisting many singers including the late legendary Jordan Chataika. Tuku lived a life full of consciousness about life after death. May the Lord take care of Amai Mtukudzi and family. Theatre producer Daves Guzha: “Tuku was the very epitome of hunhu/ubuntu. His greatest gift to mankind especially Africa was humility, honesty, thoughtfulness and care which he pushed for to the last breath. In his craft and conversations, he lived these qualities while most of us can only aspire. While he was a global legend, the world consumed his Pan African ethos firmly rooted in Zimbabwean culture. A leading light of humanity is gone. But his works and deeds will always be celebrated. Friendship of this nature is rare. To Maiguru Daisy, I am truly sorry. Nematambudziko. To the children and the family, my heartfelt condolences. Music publicist Blessing Vava: It’s a dark day for the music industry, we have lost a legendary musician who mixed with all generations, easy going old man. Music Producer Lyton Ngolomi: We have been robbed of a father, a mentor and a friend...at least I worked with him on Mathias Mhere’s song. May his soul rest in peace! Journalist Henry Makiwa: Mtukudzi is not dead. Legends don’t die. Tuku lives on and will outlive most of us lesser beings. He is an illuminating vessel of God’s spirit, a colossal figure of African music, and genuine hero of our time. I’m very blessed to have interviewed him, spend time with him and enjoy his work as a musician, actor, community builder and ambassador. It’s arguable that 2005 project, Nhava, may not have received the acclaim his other albums got on the market but for me its title track saw me through a very harsh winter as I was struggling with life in exile in Cambridge. He is one sure and bright spark of national pride Zimbabweans can ignite and raise as a torch above their heads wherever they go on this planet. Arts promoter Biggie Chinoperekwei: So sad, as a music promoter it is always sad to lose an artist because he is part of the showbiz family. Moreso, for Tuku who was an icon and an example of true Zimbabwean talent. He had invested in Pakare Paye Arts Centre in Norton and that legacy will live for ever. And his music catalogue will also live forever as his songs are timeless and talk of the true Zimbabwean story. Tuku was our ambassador throughout the world. He will not only be missed by Zimbabweans, but the whole world. In his artistic career he nurtured numerous singers too many to mention. Rest in peace! Political analyst Maxwell Saungweme: It’s a dark day for Zimbabwe, for Sadc and for Africa. Mtukudzi was an icon who transcended Zimbabwe’s boarders. I worked in Nigeria, South Sudan, Sudan, Nigeria, DRC, Ethiopia and Tanzania where Tuku was played locally and his portraits pinned on walls of certain pubs and billboards. He is a legend Zimbabwe won’t be able to replace. He was more than a musician, a unifier, an advocate against child abuse and domestic violence and a true Zimbabwean ambassador. Let him rest in peace. Musician Fungai Malianga: The only true African Mega Star we had. May His Soul Rest in Peace and May God give comfort to his family. Theatre producer Daniel Maposa: This is a big loss not only to the Zimbabwean arts landscape but to the whole of Africa. Tuku was loved beyond our borders because of the songs that spoke to the core of humanity. His passion and commitment to the arts industry was unparalleled. The way that he loved helping young and upcoming musicians is evidence enough that the man was selfless and wanted to see every artist prosper. The Zimbabwean arts sector has lost a legend, a selfless icon and our source of pride. RIP Samanyanga! ZimRights director Okay Machisa: Zimbabwe has lost a great music icon, ambassador and a true national hero. Rest in peace Mdhara Tuku. I am in pain. In the few months we worked together 2007-2008 you proved to be a true loving father. You shall always be missed. Journalist Precious Shumba: Mtukudzi is remembered for his classical jazz and Tuku brand of music which spoke to the issues of culture and the broader society, evoking deeper meanings than words could capture. As a musician, Mtukudzi stayed the course, and never deviated from his music genre, which is rare among the contemporary musicians who change according to their music fortunes. Mtukudzi was a veteran musician whose death has robbed the nation of Tuku the person but his music will forever be in our midst. His involvement in Neria, a cultural drama on how widows are excluded from the estates of the deceased husbands makes him a major contributor to the narrative around inheritance and cultural values in our society. One of his greatest songs Tozeza Baba evoked deep emotions among music lovers as he sang directly into the lives of most families whose children and wives lived tormented lives under brutal husbands intoxicated by beer. He spoke passionately into issues of domestic violence and the victimisation of children in households where the father of the house was abusive. He lived a fruitful and productive life, blending cultural commentary and entertainment. Journalist Vivian Maravanyika: I first attended Tuku’s show in Tafara in 1978 when I was in primary school. To get to know him and get known by him was a privilege. The man was an enigma, the original superstar. I got to know him well when I was a music journalist for The Sunday Mail. Always humble, approachable and ever-smiling. 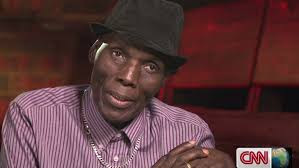 Tuku is the best musician to come out of Zimbabwe. I will miss him and certainly will his multitude of fans across the world. South Africa will shed a tear because he was so adored there. Samanyanga will live on through his music. Mbira player Albert Chimedza: Oliver’s work speaks for itself. His contributions to Zimbabwean music speak for themselves. He had an amazing life. There is not much I can add. I am sorry he is gone. Media practitioner Loughty Dube: The man was an icon not only in Zimbabwe but the whole of Africa and even across large section of the world he commanded a large following. His music transcended borders and his music was across all generations and had a string message that cut across even the language barriers, this is a loss to the music and arts industry and mostly to Zimbabwe. Oliver was Zimbabwe’s biggest export and well known artiste and his collaborations with international artistes bare testimony to that. Zimbabwe Network for Economic and Social Transformation founder Takemore Mazuruse: As a network that seeks to promote excellence and productivity in local business, media, arts and sports we feel robbed by the passing on of Oliver. Tuku belonged to that rare class of immortal artists whose contribution to local arts will forever be cherished. He was an embodiment of the excellence and self-actualisation that we seek in every sector. It is our hope that the new generation draws inspiration from his strides and milestones.